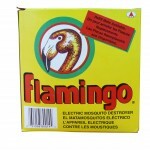 Flamingo is one of our local Brands we supply throughout Trinidad and Tobago and the wider Caribbean. 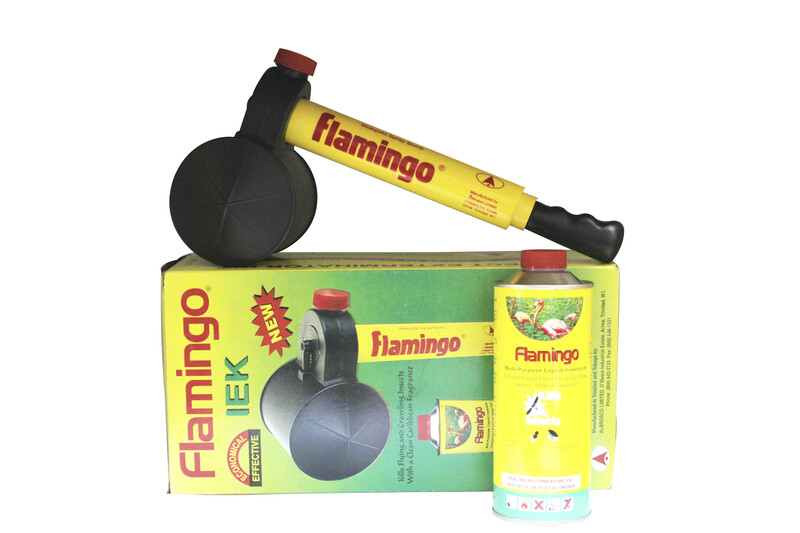 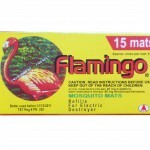 The Flamingo family of products have been a household name for many years in both our local and export markets. 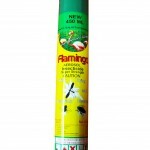 Over the years to the present time the brand continues to fight against flying and crawling insects. 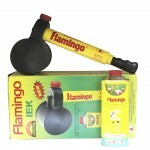 The variety of products within the brand provides users with various options to choose from based on preferences or needs. 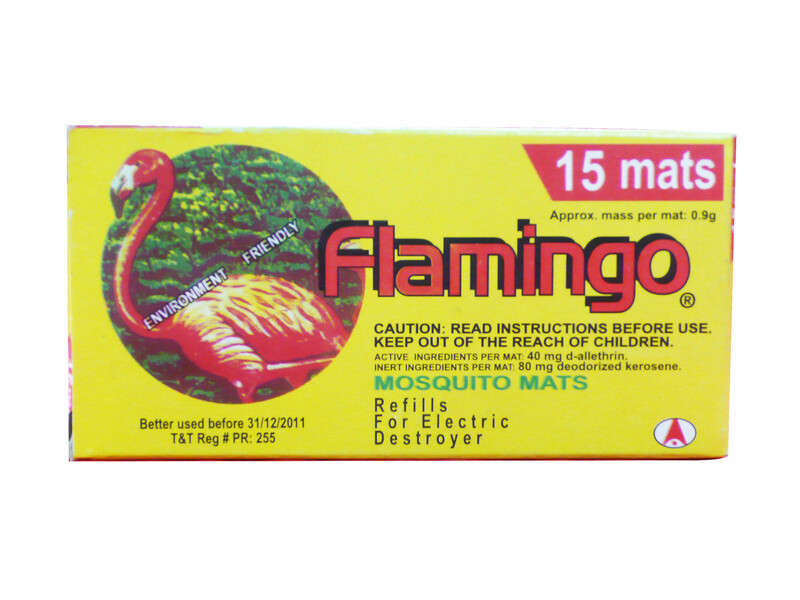 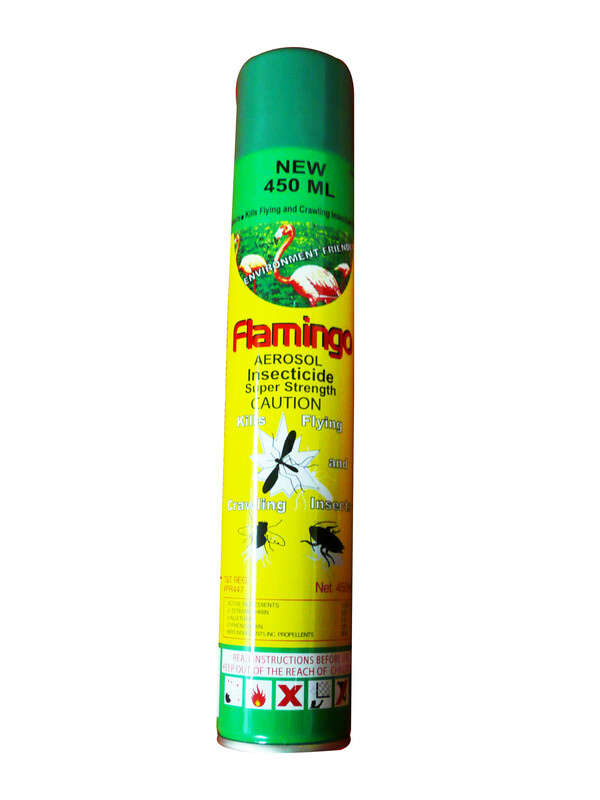 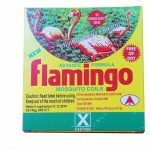 The demand for the Flamingo range continues to increase as the products continue to assist in controlling and safe-guarding humans from the rising increase of mosquito related diseases such as Zika, Dengue, and Chikungunia. 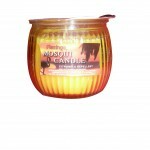 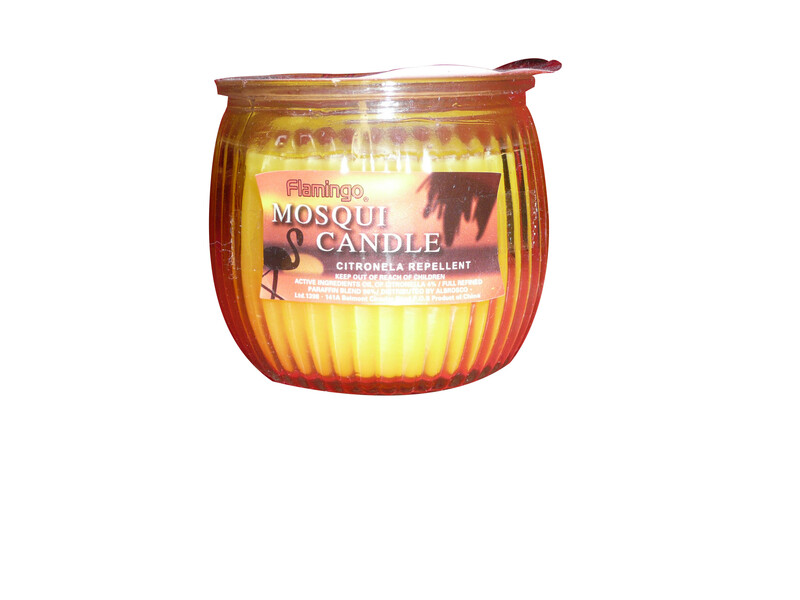 Products include: Aerosol insecticide spray, Mosquito Coils, Mosquito Mats, Citronella candle sticks, Citronella candle vase, Multipurpose Liquid Insecticide. 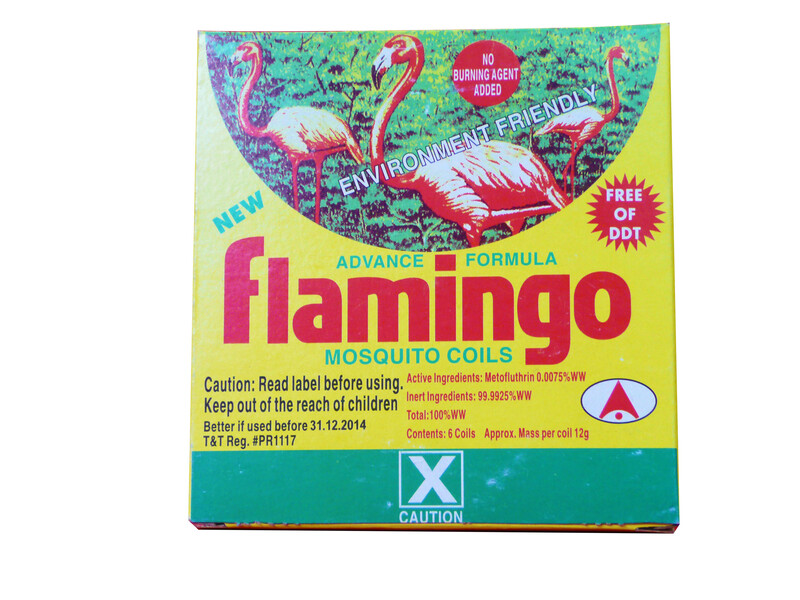 Supporting products include: Electric Mosquito Mat Machine/Vaporizer, Mosquito Coil Holder. 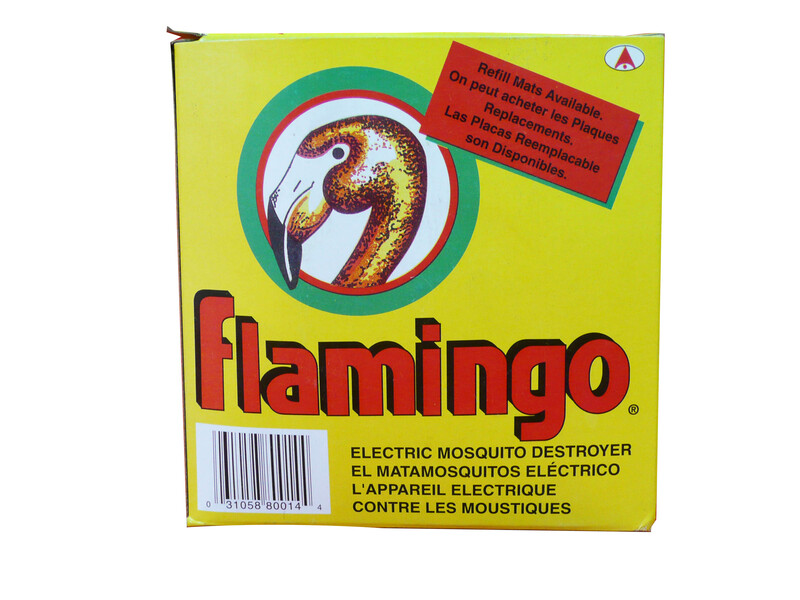 Other Mosquito Brands include: Bug Off and Black hawk.